This is an interesting item. 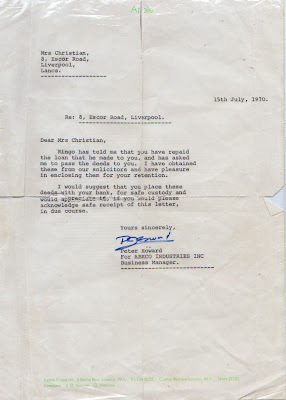 This letter, on Apple notepaper, is from Peter Howard of Abkco to one of Ringo's relatives. It was to accompany the delivery of the deeds to a house which was bought with a loan from Ringo. The final repayment had been made and the deeds were being officially handed over. It's quite nice to know that he helped out relatives and saved them having to take out expensive bank loans or mortgages. Clicking the image should take you to a larger version. 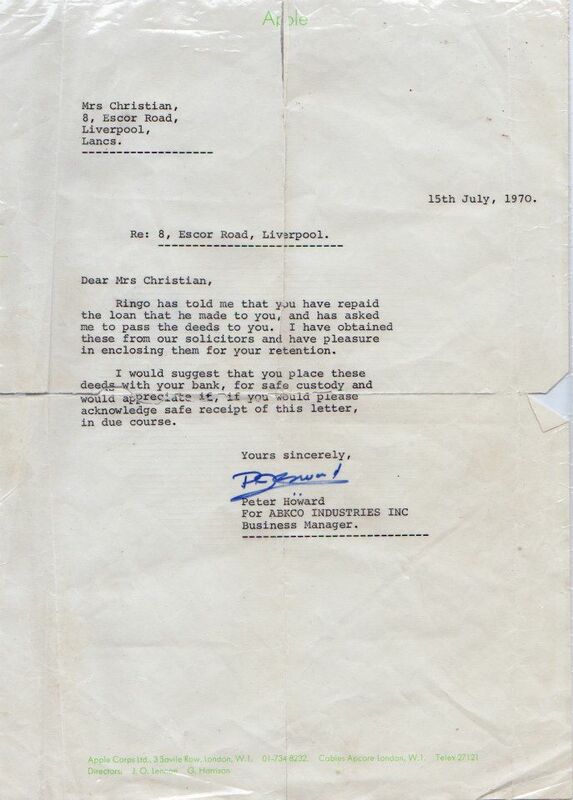 The letter is being placed into our auction in August and carries an estimate of £20-£30.